London Fashion Week heralded the return of the statement Pink Lip. 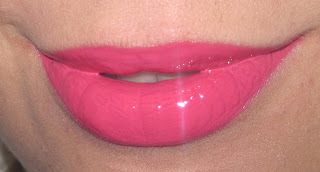 It has been almost impossible to open a magazine and not see plumped up, barbie like lips and if your alter ego is a Barbie doll-esque type, this is the swatch post for you! Antonio Berardi, House of Holland and Marc Jacobs [at New York Fashion Week] all created beautiful looks with dazzling pink lips. 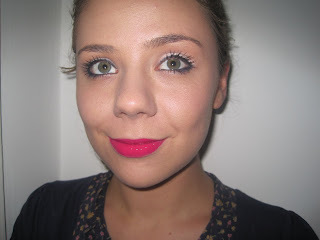 I absolutely love a pink lip – depending on the shade and your outfit it can be cute, girly, tongue-in-cheek, sophisticated but always, always confidence boosting. 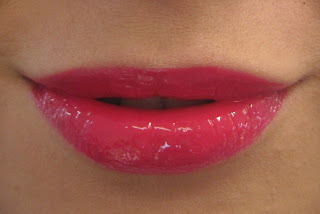 I had a flick through our Intense Lipglosses this morning and thought I would put together a swatch post that demonstrates to you the depth and range we have of pink lips. 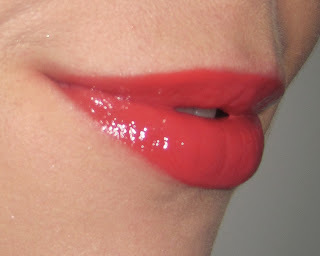 I have to start with Petulant, because it is without a doubt my favourite Illamasqua Intense Lipgloss of the moment [I say that because I am so fickle with lipglosses!] The intensity of the pink is very unexpected judging by the lipgloss case – it’s definitely a case of trying it on the back of the hand and then picking your jaw off the floor. The photos below are NOT doing it justice – I really suggest getting to a counter and trying this gloss out for the sheer wow factor! Below is my face of the day with Petulant Intense Lipgloss – this picture has made me realise I need to do some serious eye brow grooming! I am also wearing Powder Eye Shadow in ‘Geisha’ and Medium Pencil in ‘Please’ [a really lovely navy pencil that I can’t get enough of right now] and a touch of Illuminator in ‘Fondle’ on my cheeks to perk up my desperately-in-need-of-a-facial complexion! 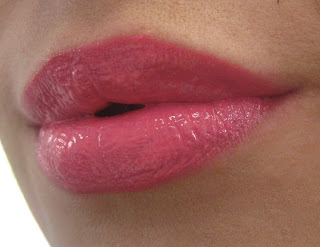 A great, hot pink that is fuschia – the photo below is not doing it justice as it really is hot hot hot! I think it looks great on all skin tones, but I think blondes with blue eyes who do not wear a lot on their eyes or cheeks would absolutely adore the ‘pop’ that this pink would give them. 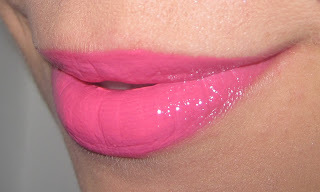 Indulge is our most vibrant pink – very cool and very bubblegum. Again, photos not seeming to do much justice – very frustrating! Extremely pigmented [as ever!] this pure neon pink cannot help but get you noticed! Above is without flash, below is with flash. Perform is a very warm red/pink that is as hot as Petulant but reddier. This colour works extremely well on olive and black skin tones and makes a gorgeous glossy flush on the cheeks, too. 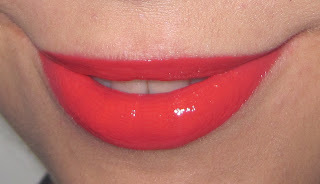 Mistress is a gorgeous coral toned lipgloss, with a touch of pink. 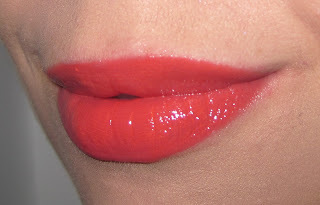 It is universally flattering, as corals tend to be, and I love it for it’s blendability – if used quite sheer [or mixed with Sheer Lipgloss in ‘Brilliant’] it becomes pinkier, whereas used generously it builds up into an almost neon orange/coral. A lovely warm gloss with an even mixture of pink, orange and red tones. 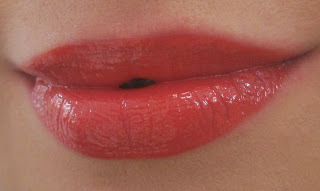 I love this because it is a softer way to wear red on your lips if you are not 100% confident to wear red. I personally think this is a colour that would look amazing on black and olive skin tones due to the warmth of the shade. Above is without flash, below with flash.